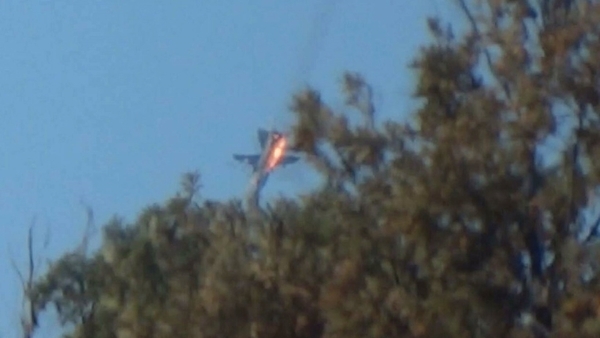 Warplane crashes in Latakia province in Syria and two pilots seen ejecting from the aircraft. Warplane crashes in village in Latakia province in Syria and two pilots seen ejecting from the aircraft. agency Hakan Fidan and some ministers. US stocks opened sharply lower Tuesday, joining European equity markets in retreating following news that Turkey shot down a Russian fighter jet on the Syrian border. RIA news agency reported. This in addition to an earlier report from Nataie Tours, a large tourism operator, means that it's highly likely Turkish tourism will be affected by events today. So Putin and Erdogan walk into a bar. Sorry, a war. Today's escalation over Syria reveals the perils of what Nobel laureate Thomas Schelling described as "leaving something to chance." The US military backed up Turkey's claim that Turkish pilots warned a Russian jet 10 times - but failed to get a response - before shooting it down. "We were able to hear everything that was going on, these (communications) were on open channels," military spokesman Colonel Steve Warren said. Asked if he could confirm reports 10 warnings were issued by Turkish pilots without response, Warren said: "I can confirm that, yes." He added it was not immediately clear on which side of the Turkish-Syrian border the Russian jet had been flying. Force - Operation Inherent Resolve"
patrol engaged two Russian SU-24s and one Russian aircraft was shot down. The Russian ministry of defense has announced an investigation into the crash. This is an incident between the Russian and Turkish govts, it is not an issue that involves a Combined Joint Task Force or Operation Inherent Resolve. 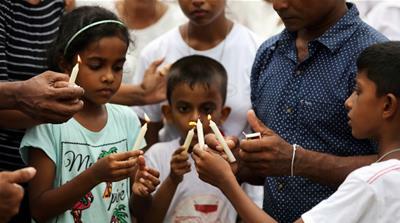 seeking to recover them, a government official said on Tuesday. 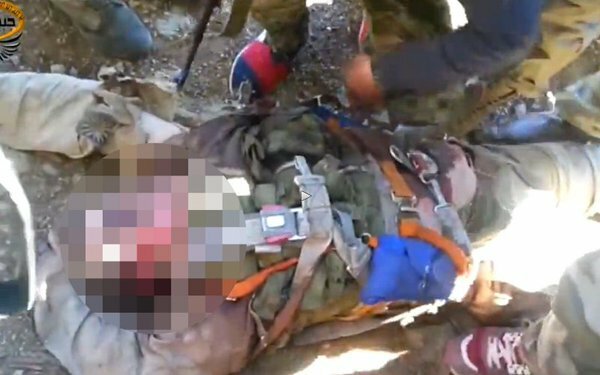 the pilots could have died after parachuting down inside Syria. Russia denies that its jet was in Turkish airspace, with Putin saying: "Our plane was shot down over the territory of Syria by an air-to-air missile from a Turkish F-16 jet. It fell in Syrian territory four kilometres from the border with Turkey. Our pilots and our plane did not in any way threaten Turkey"
Putin said Turkey's action was like a "stab in the back"
Russia should not be surprised that one of its jets was shot down by Turkey near the Syrian border, writes Justin Bronk. Can Kasapoglu, an academic with the think-tank EDAM, comments on Turkey shooting down a Russian fighter jet on the Syrian border. Adviser to Putin: "This attack on a Russian jet was a provocation"
This event goes beyond the frameworks of a regular fight against terrorism. Naturally our military are pursuing a heroic battle against terrorism, sacrificing themselves and their lives. Today's loss for us was like a stab in the back delivered by the accomplices of terrorists. I cannot qualify what happened today as anything else. Our plane was shot down over Syrian territory by an air-to-air missile from a Turkish F16 aircraft. It fell on Syrian territory four kilometres from the Turkish border. It was flying at the altitude of 6,000 metres, one kilometre from Turkish territory when it was attacked. 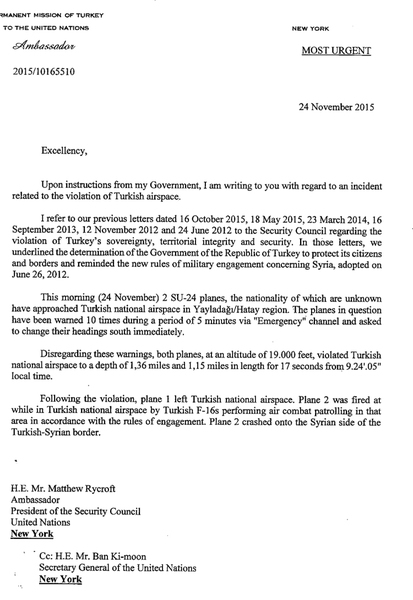 Our pilots and our plane in no way threatened the Turkish Republic. This is an obvious thing. They were carrying out their duty to fight Islamic State. We established a long time ago that large quantities of oil and oil products from territory captured by Islamic State have been arriving on Turkish territory. That's where a major money support for bandit groups comes from. And now we get stabbed in our back, and our planes, which are fighting terrorism, are struck. This despite the fact that we signed an agreement with our American partners to warn each other about air incidents and Turkey, as is well known, is among those who announced it was allegedly fighting against terrorism as part of the US coalition. If Islamic State militants have such money - and we are talking about tens and hundreds of millions or even billions of dollars from trading oil - plus they enjoy the protection of the armed forces of entire states, then there is no wonder they behave so boldly and recklessly. Why they kill people in the most savage way why they commit terrorist acts across the world, including in the heart of Europe. We will of course thoroughly analyse everything that happened and today's tragic event will have serious consequences for Russo-Turkish relations. 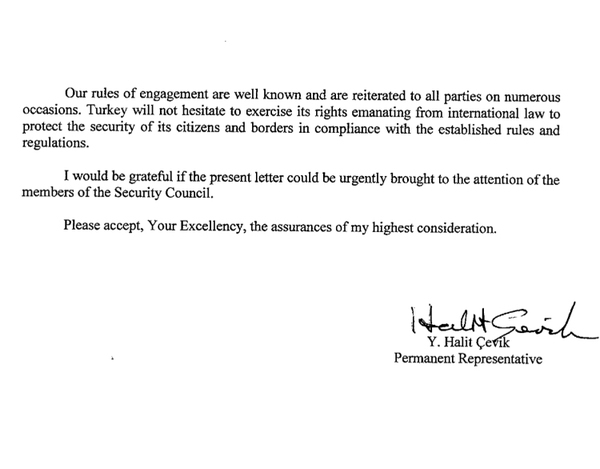 We have always treated Turkey not only as a close neighbour but as a friendly state. I don't know who needed what occurred today. But not us by any means. And instead of immediately getting in touch with us, as far as we know, the Turkish side has contacted their NATO partners to discuss this issue and this incident. As if we shot down a Turkish plane rather than them shooting down one of ours. 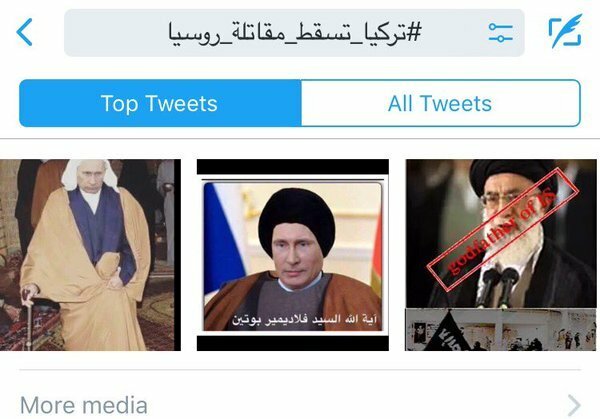 Do they want to put NATO at Islamic State's service? I do understand that each state has their regional interests. And we always respect them. But we will never tolerate such crimes like the one committed today. 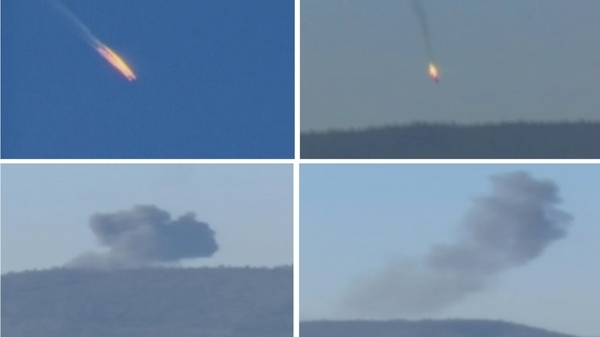 NATO and UN urge a de-escalation in tensions between Ankara and Moscow after Turkish planes shot down Russian jet. 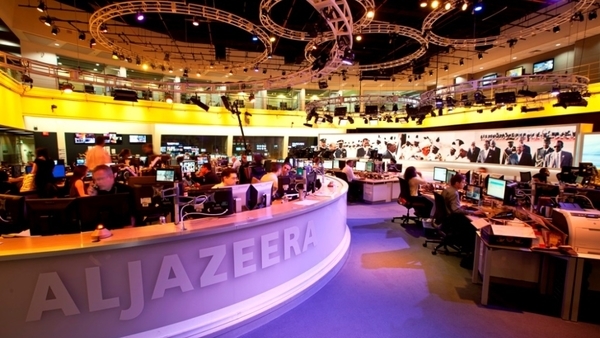 pilots is confirmed dead, says Al Jazeera's Rory Challands in Moscow. Damascus, SANA – Turkey’s downing of the Russian warplane over the Syrian territory confirms beyond doubt that the Turkish government backs terrorism and is providing all forms of support to the terrorist organizations that are crumbling under the Syrian Arab Army’s strikes, a military source said on Tuesday. Russian Defense Ministry announced earlier today that a Russian Su-24 fighter jet had been shot down as it was on a mission targeting terrorists in the northern countryside of Lattakia province. The Ministry confirmed that the plane hadn’t violated Turkish airspace and was flying at an altitude of 6,000 meters. In a statement to SANA, the military source condemned Turkey’s downing of the Russian aircraft, which took place at 9:23 am, as a “gross violation of the Syrian sovereignty. 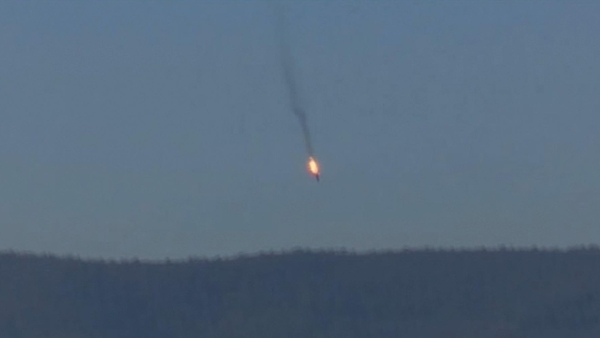 The Russian jet was hit as it was on its way back from its combat mission against ISIS, the source noted. Russian President Vladimir Putin said the downing of the Russian aircraft over Syria is “a stab in the back delivered accomplices of the terrorists,” adding that the incident will have grave consequences for Russia’s relations with Turkey. Fortunately, both Putin and Erdogan are famously cautious and soft-spoken leaders, always ready to negotiate in good faith and de-escalate. President Obama is working hard to de-escalate things. Donald Trump would have tweeted the nuclear codes by now. How do we de-escalate from this? How do we persuade people to stop being afraid of each other? Trying to work out Erdogan's game here. Putin is trying desperately to de-escalate, while Turkey is calling NATO meetings. Bizarre. 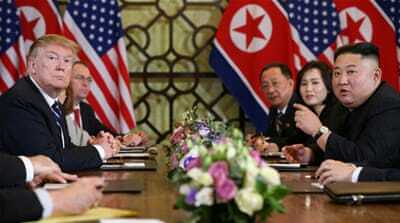 Difficult juggling act at the NATO meeting today. 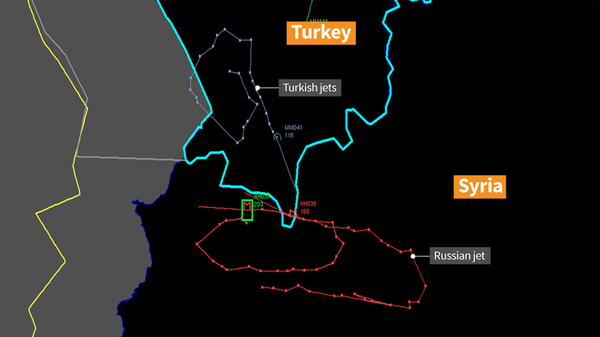 Turkey needs to de-escalate quickly while maintaining red line against Russian incursions. Turkey should search for ways to de-escalate the situation with Russia. A lot of effort going on to deescalate this Turkey vs Russia crisis from all sides. This is positive.